ATM Anthony Thomas Melillo hoodie in French terry cloth. Hooded neckline; zip front. Kangaroo pockets. Straight hem. Cotton. Made in Peru. Model's measurements: Height 6'1"/185cm, waist 32"/81cm, typically wears size M.
Iceberg hoodie with embroidered Taz graphic. Drawstring, hooded neckline; zip front. Kangaroo pockets. Straight hem. Cotton/polyester. Made in Italy. 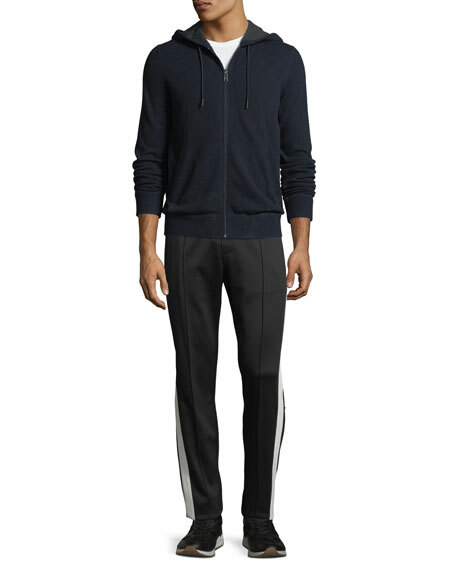 Model's measurements: Height 6'1"/185cm, waist 32"/81cm, typically wears size M.
Michael Kors hoodie in heathered cotton blend. Hooded neckline; front zip. Long sleeves; ribbed cuffs. Kangaroo pockets. Classic fit. Cotton/linen. 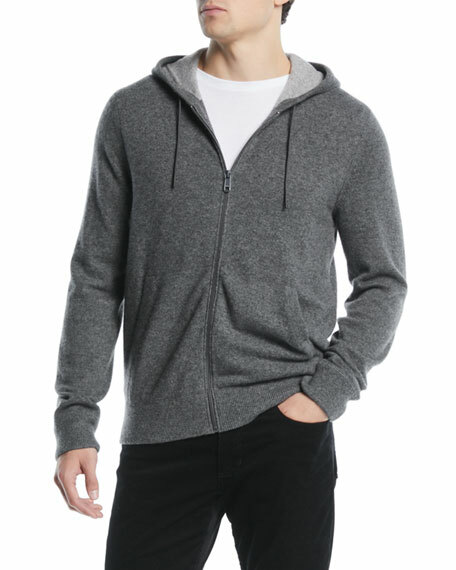 Michael Kors hoodie in heathered cotton blend. Hooded neckline; front zip. Long sleeves; ribbed cuffs. Kangaroo pockets. Classic fit. Cotton/linen. Imported. Model's measurements: Height 6'1"/185cm, waist 32"/81cm, typically wears size M.